Carol and I drove outside from Valdez, Ak through the mountains. In spite of the rain we manage to take more pictures. Surprise…..
Beautiful waterfalls, mountain passes and lush forests. This is the north end of a temperate rainforest. As we drove through the mountains toward Copper Center. We saw smaller and scruffier trees. 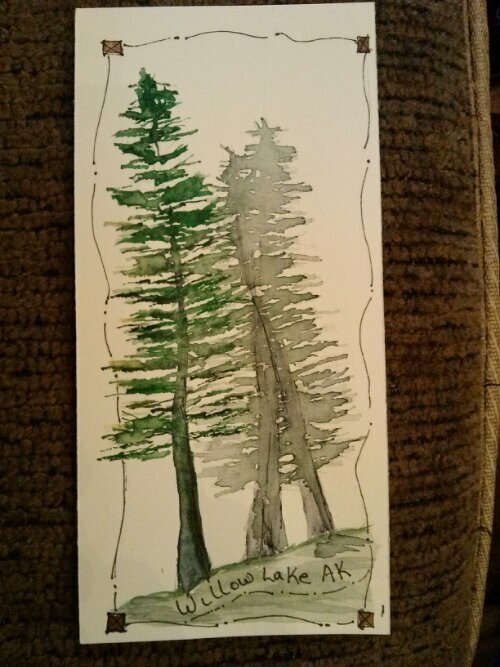 Black and white spruce. Beautiful! We arrive at Copper Center and are a little dismayed, no gas station ( the web said was one) and only 2 restaurants. A bus that houses a walk up Mexican Restaurant…… or a dark one level log cabin with a smal white sign that said “CAFE”…hmmm… what to do! 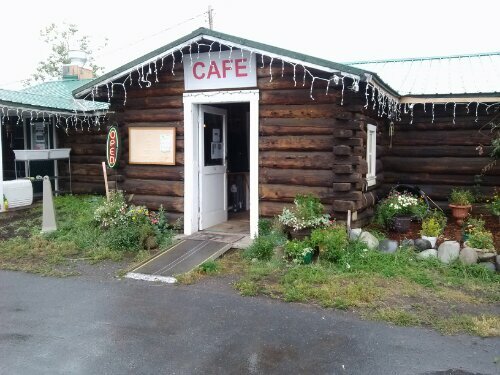 Well after much discussion and no internet we took our chances and tried the Cafe. 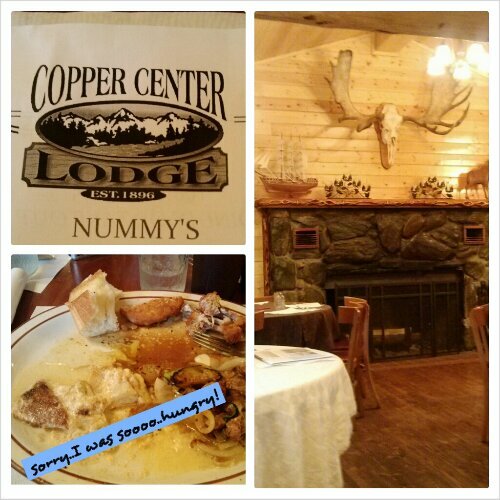 It’s real name is Copper Center Lodge. What a treat. Steak, fries and coke…..good. I was having withdraw from steak….lol. 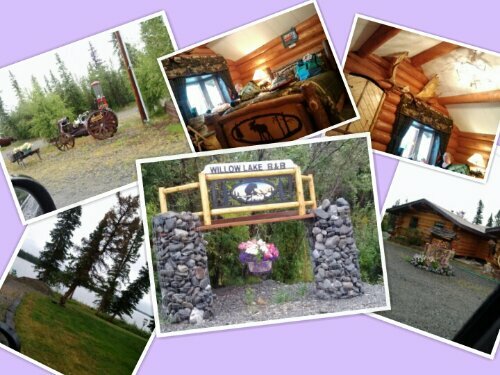 As we were eating, the owners of Willow Lake B &B, met us at the restaurant to give directions to our log cabin…. very thoughtful.